This is a story written for a world where ‘the Lord has many days – and I’ve got even more than that’. It straddles the borders between child and adult imaginations, fuses literary genres and defies expectation. The world of Toomas Nipernaadi is a realm of sharp realism and enchantment, of Norse pantheism and religious syncretism, where myth and Christianity coexist in both tension and harmony, and where stories act as a substitute for a more meaningful life, as an escape, and as a way to personal salvation. 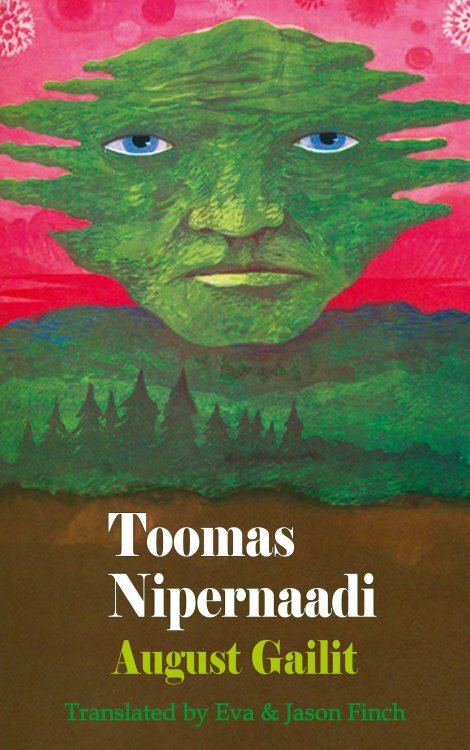 Toomas Nipernaadi is a tale of truth built around an element of fiction. It is a finely textured, well-crafted folktale that resonates with the poignancy of a parable about history, about a nation, and about the moment of modernity in its act of secession from the past. But, with repetitive motifs, an archetypal protagonist, formulaic attributes and ornaments, and a faux-naif spectrum of truths, lies and illusions, it is also a bard’s ballad. Nipernaadi is the eternal youth growing old; he is the ur-optimist confronted with disillusionment and the dark corners of the world he inhabits. He is Nils Holgersson, Leopold Bloom, Archibald Olson Barnabooth, a less introspective Lemuel Gulliver, a more prosaic, yet beguilingly poetic Young Werther, and a Sinbad the Sailor of Western modernity. He is a wanderer flitting from place to place, fleeing disasters, attachments, permanence or the fulfilment of desire – he is a sublime master of the désir du non désir. His wanderlust yearns for a state of Edenic purity and enunciates our discomfort with the tonality, rhythm and dynamics of an accelerating existence – thus describing the clash between interiority and external reality. Toomas Nipernaadi’s life gesture is purposeful aimlessness rather than aimless purposefulness (a somewhat accentuated Kantian distinction); and his story, which is embedded in time just as it transcends and dematerialises it, is an exercise in the art of narrative fugue – as restless, as lyrical and ode-like, as intricate and mysterious, yet perfectly natural in its animistic, universal anthropomorphism. Nipernaadi would like to be the distillation of a wild, errant humanity, the perfect Rose of Sharon represented here as the flower of the field. Yet he is as terrifying as he is irresistibly charming. He has no scruples or inhibitions, but possesses a melting heart of gold. He walks into people’s lives (a girl’s, a whole village’s, the reader’s) and leaves nothing in its place, the result of a goblin-like instinct for mischief and interference, as well as a misguided yearning to change the world, correct ills and bring about ecumenical prosperity and joy. But a sense of decline, of a harsher, baser realism, takes over the fairy-tale, fantasy elements as the novel progresses, and as our puckish, protean protagonist grows older and seems to reach an existential impasse – a dead-end to his escapism. Yet one should reserve judgement and be a cautious moralist and critic. This little volume has a thrill in store for the persevering, as well as the power to reveal a new, exciting literary and imaginative world.